The services of Morning Prayer, Evening Prayer and Night Prayer for today, yesterday and the next four weeks are available on this site to help you find time for God during your day. Church House Publishing produce a free Daily Prayer app to make it even easier to access Daily Prayer wherever you are. 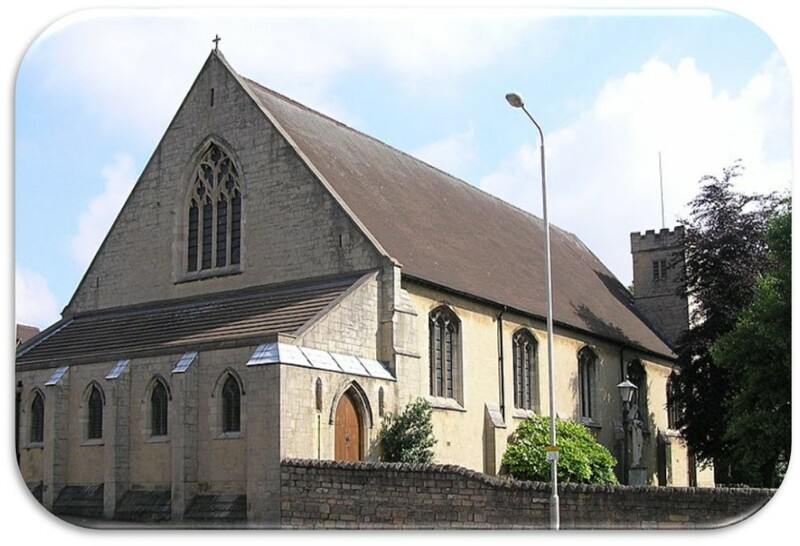 Categories: Our Church's Year, Prayer, St Mark's Church Family, St Mark's Community | Permalink. 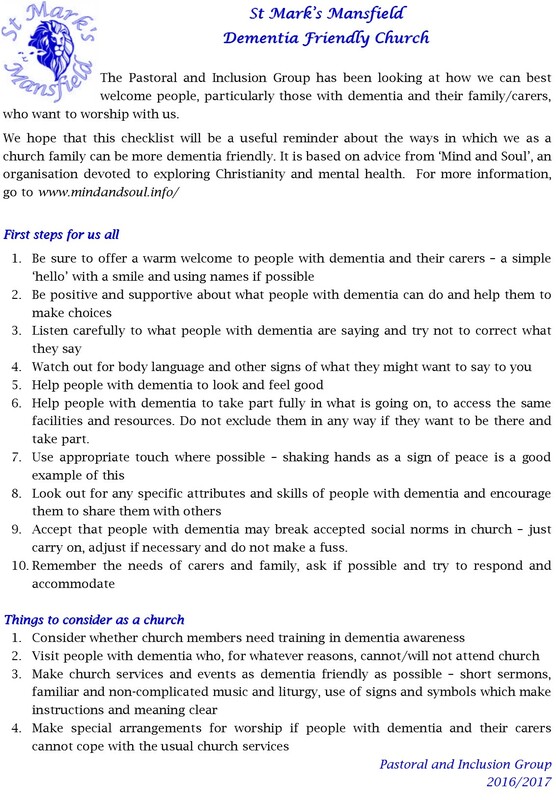 Categories: Dementia Friendly Checklist, St Mark's Church Family | Permalink. 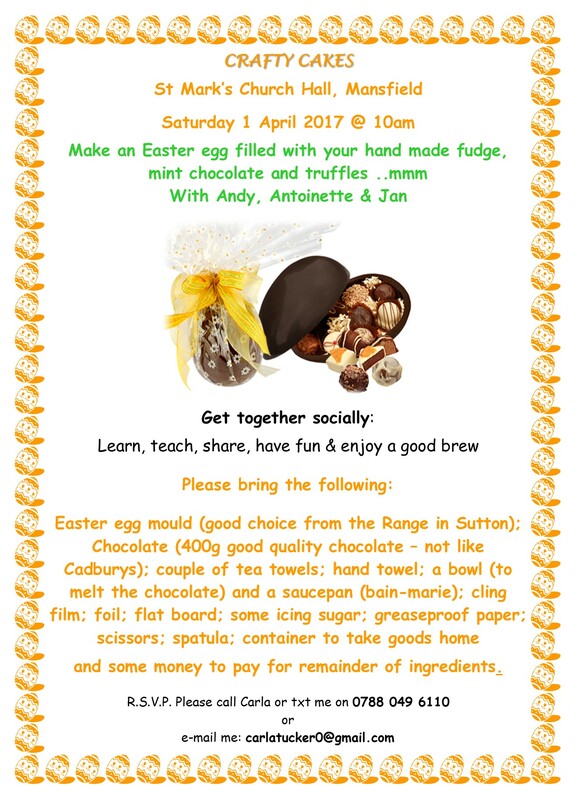 Categories: Crafty Cakes, Henley Community Hall, St Mark's Community | Permalink. If you’ve walked round to the front of the Henley Hall or passed by on the street you can’t fail to have smiled at the sight of the colourful wellies spilling over with bright primulas! They’ve certainly attracted some attention and comment. 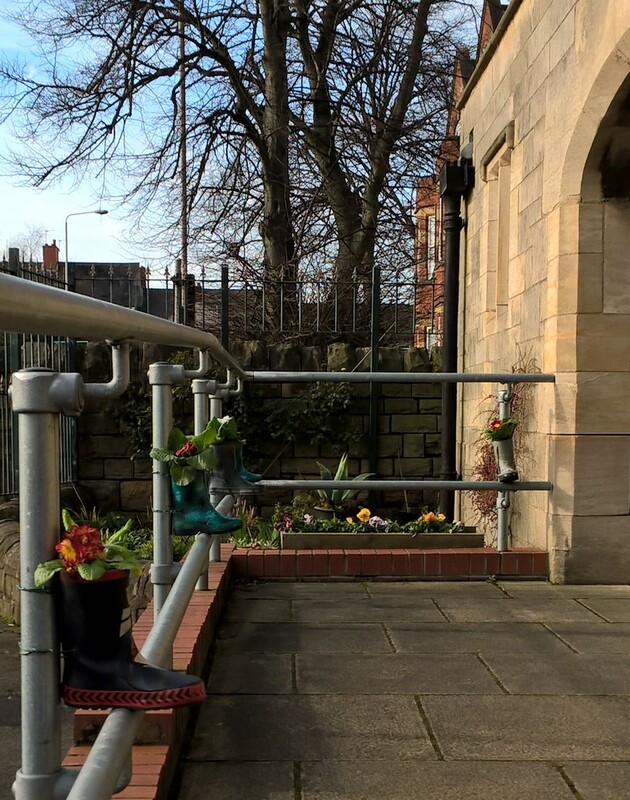 The flowers were planted by the under-fives group one Tuesday afternoon and this is just the start of what we hope will be a regular visit by the youngsters to the community garden. As one of the mums commented, ” they love getting dirty!”. Sowing the seeds of future gardeners is one of the most important things we can do with our garden space. We learn together that the earth is so generous and forgiving if we treat it with respect and care. Before the Easter break, the children will plant up troughs with strawberries so they can watch them flower and fruit over the next couple of months on the wall outside the hall. A tasty treat for snack time! Categories: Green and Wild, St Mark's Community | Permalink. 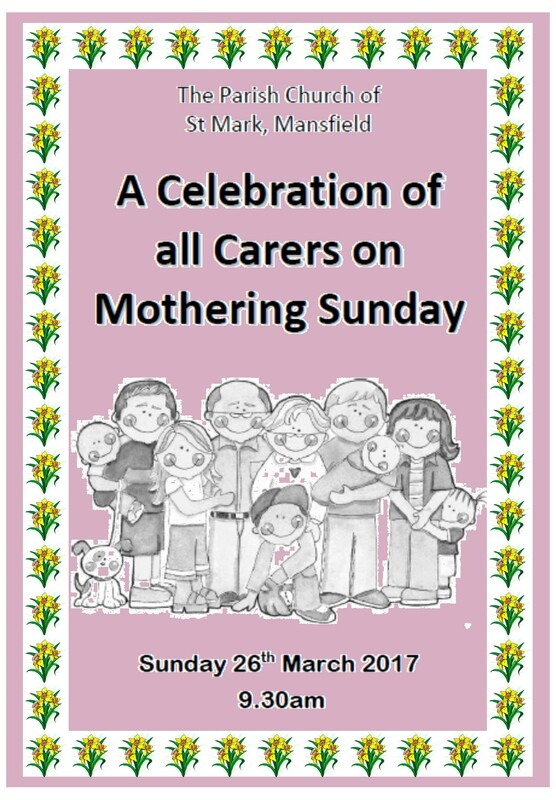 Categories: Mothering Sunday, Our Church's Year | Permalink. 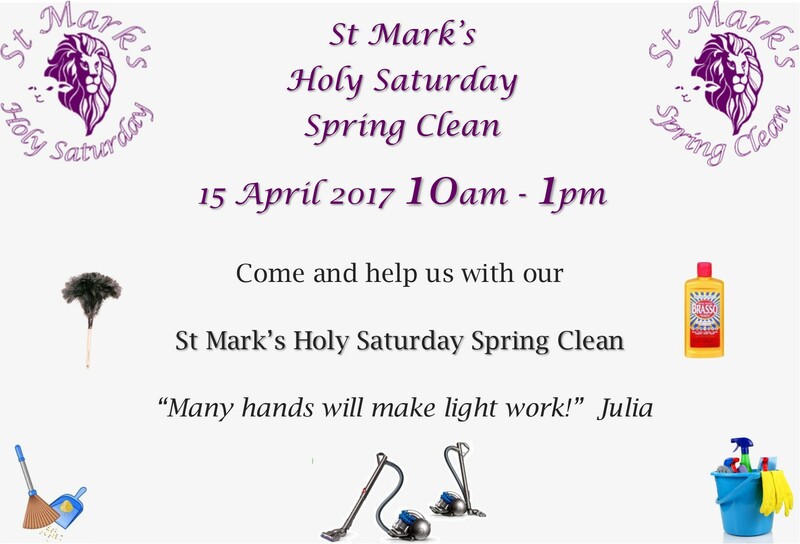 Categories: Cleaning, St Mark's Church Family | Permalink. Mansfield lies 14 miles north of the city of Nottingham, close to Sherwood Forest, the Peak District and the M1. Mansfield is an expanding town (population circa 100,000) and contains significant educational establishments, including schools and an FE College. There is also a major hospital just beyond the town. Both parishes occupy a reasonably central location in the town and contain a mixture of prosperity and social deprivation. St Mark’s church is of an inclusive Anglo-Catholic tradition and St Peter and St Paul embraces an evangelical as well as a Catholic ethos. We welcome applications from suitably qualified clergy from all sections of the community and we strive to be an equal opportunity employer. Enhanced DBS clearance is required for this post. Categories: Associate Priest | Permalink.